Just when your fam­ily had started to recover from the hol­i­day sugar binge: Along comes Valentine’s Day to pro­vide yet another excuse for a class party laden with candy, cup­cakes and other sweets. I don’t know about you, but I am not too excited about the idea of my kids down­ing 10 pounds of sugar and who knows what kind of arti­fi­cial ingre­di­ents. I’m all for an occa­sional treat (prefer­ably at home), but the last thing they need is another over-the-top junk fest. Valentine’s Day is an anniver­sary of sorts for me. It was this time last year that I finally freaked about all the empty-calorie treats being fed to my son (a kinder­gart­ner at the time) at school. My frus­tra­tion had been build­ing for a while, but the week of Feb­ru­ary 14 put me over the edge. It wasn’t just the sweets served in class on V Day itself. It was all the candy that came attached to his Valen­tines. The cup­cakes and gummy bears to honor his classmate’s birth­day two days later. And the ice cream at the school’s annual 100 Days of School cel­e­bra­tion two days after that. “It was a spe­cial week,” my son’s teacher explained after I emailed her about the moun­tain of sugar that had been con­sumed over the span of five days. She was right: Valentine’s week was excep­tion­ally bad, unlike any­thing we had seen so far that year. But the truth was, unhealthy food had been mak­ing reg­u­lar appear­ances in the class­room all fall and winter—at least once a week, by my esti­mate. It was too much. 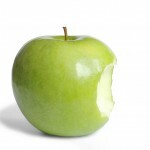 And I felt that it was under­min­ing my efforts to teach my kids how to eat. As those of you have been fol­low­ing my blog know, I acted on my frus­tra­tion. I asked to start a well­ness com­mit­tee (and help start one I did!). And while things are far from per­fect, I have noticed some pos­i­tive changes this school year, includ­ing a push for health­ier food at class­room par­ties. My son’s new fitness-minded teacher only per­mits one group birth­day party a month and has specif­i­cally requested par­ents stick to nutri­tious snacks. It’s been much bet­ter, with­out a doubt. But what will hap­pen dur­ing Valentine’s week is still up in the air. 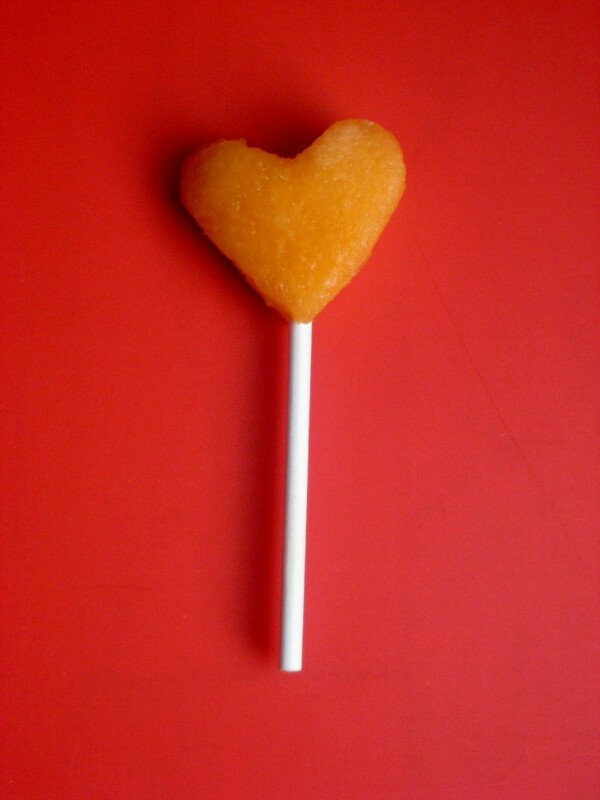 Heart melon pop* I did a vari­a­tion on this idea at Christ­mas using kiwi. 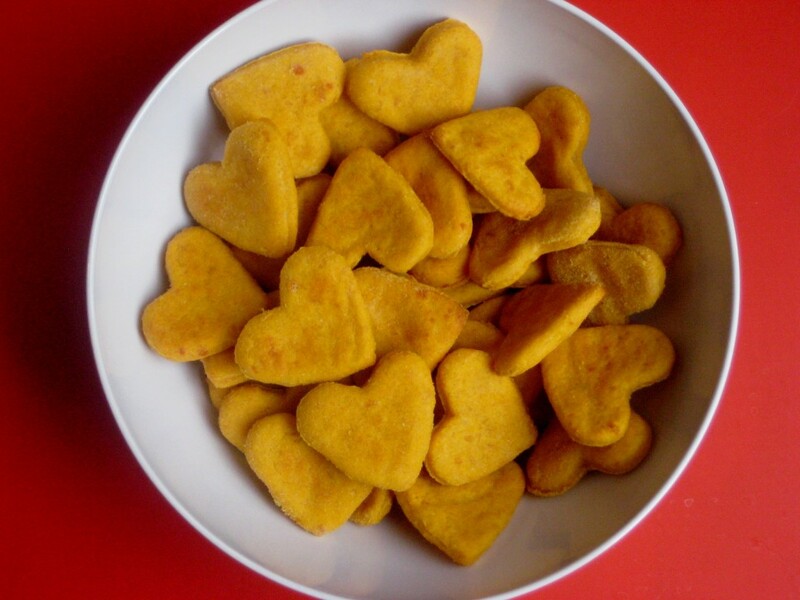 This time, I took a mini heart-shaped cookie cut­ter and care­fully cut out pieces of can­taloupe. While I’ve strug­gled to make shapes out of water­melon in the past, the can­taloupe held up well. For color, you could try mak­ing heart shapes out of other fruits like hon­ey­dew, kiwi and pineap­ple. Flower shapes made into a Valentine’s bou­quet would be cute, too! 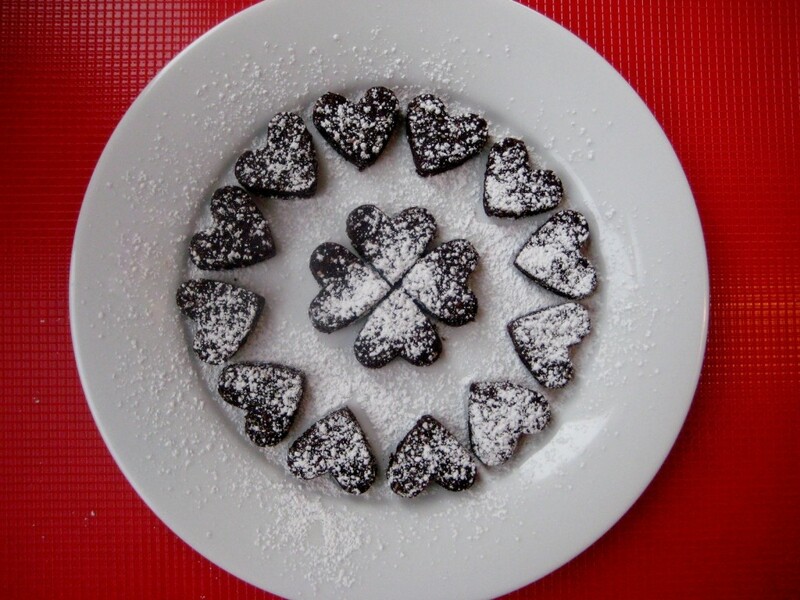 Heart-shaped brownie bites Oh, how my 4-year-old twins and I love these faux brown­ies, made with raw almonds, unsweet­ened cacao pow­der, dates, and a table­spoon of honey. Instead of rolling them into lit­tle balls like I nor­mally do, I took about a third of the “dough” and made a big ball, then flat­tened it out with my hand until it was about 1/2– to 3/4-inch thick. Next, I used a mini heart cookie cut­ter to make shapes. If your child goes to a nut-free school, you can sub­sti­tute half a cup of sun­flower seeds plus half a cup of hemp seeds for the almonds (I added an extra table­spoon of honey when I did this because the almonds felt were nat­u­rally sweeter–but judge for yourself!). 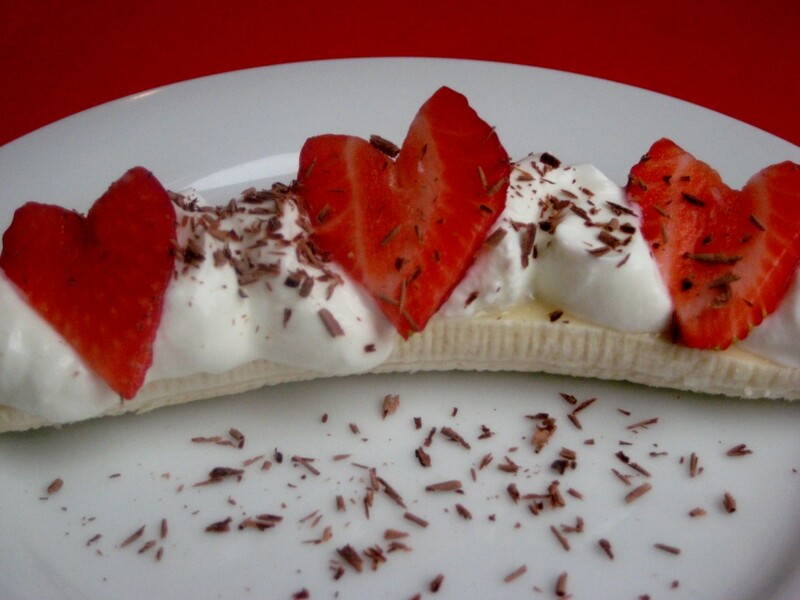 Healthy banana split* A healthy twist on a favorite kids’ dessert–I subbed Greek yogurt (I used plain, but you could try vanilla to make it sweeter), heart-shaped straw­ber­ries and dark choco­late shav­ings for ice cream, choco­late sauce and a maraschino cherry. To make the shav­ings, I used a choco­late bar and a car­rot peeler. This would make a per­fect item for a break­fast party or at any time of day. You can do a make-your-own ver­sion: Slice the bananas for the kids, then pro­vide the top­pings in bowls. For extra top­pings, try sliv­ered almonds, gra­nola or nat­ural pink sprin­kles. 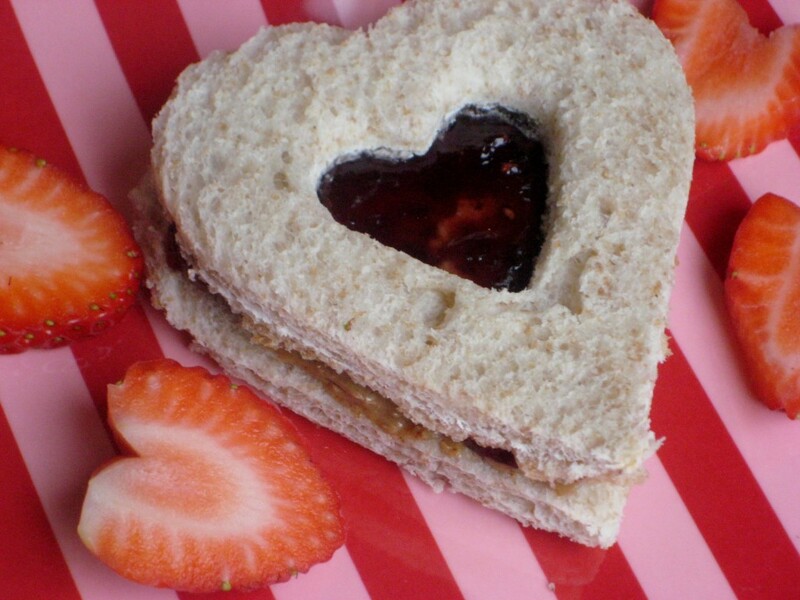 Be-still-my-beating-heart sand­wich* Organic unsweet­ened Sun­But­ter and red rasp­berry pre­serves on locally made honey wheat bread–YUM! Sweet potato-cheddar crack­ers Move over, Gold­fish: These lit­tle guys taste just as good but are bet­ter for you. I cut the recipe in half and still had enough dough to make 108 crack­ers. One warn­ing: Not long after tak­ing the crack­ers out of the oven, they got soft (even though I trans­ferred them to a wire rack imme­di­ately after cook­ing). My kids still loved them, but they were more bready than crack­ery. And cute as can be! 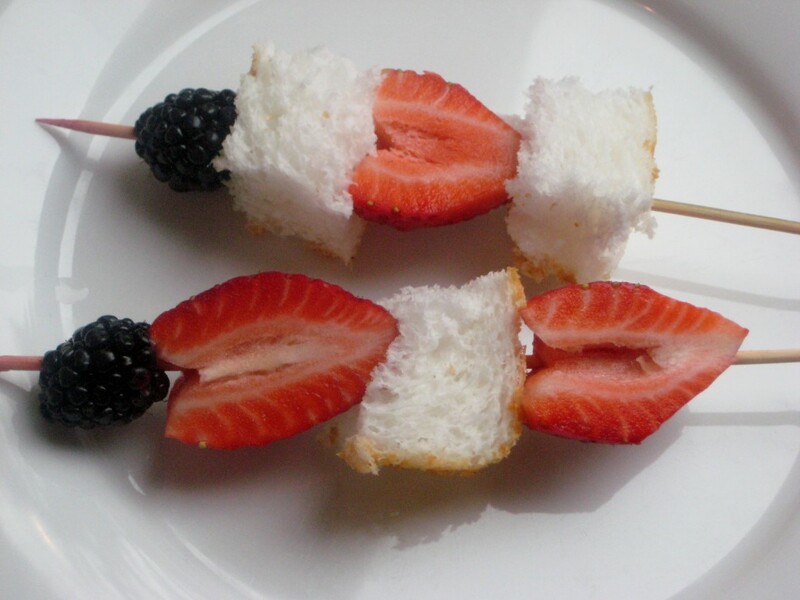 Angel food and fruit kabob* For this, I used store-bought angel food cake (no arti­fi­cial ingre­di­ents) and alter­nated chunks of cake with heart-shaped straw­ber­ries and black­ber­ries on long skewers. Choco­late zuc­chini mini “cup­cakes” Made with whole wheat flour and shred­ded zuc­chini, these are much less sin­ful than tra­di­tional frosted cup­cakes but plenty sweet enough to please the kids. 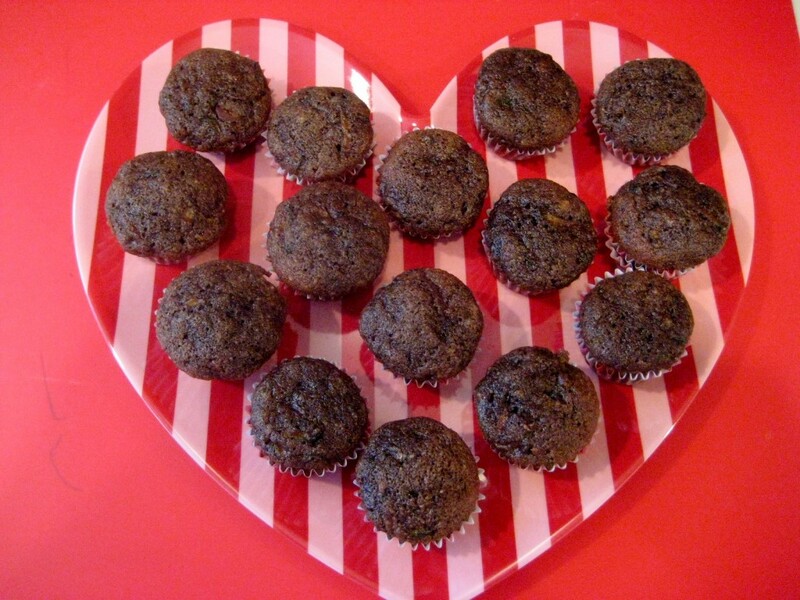 I put mine in mini muf­fin lin­ers adorned with pink and red hearts. Add a Valentine’s cup­cake top­per to fur­ther up the appeal. 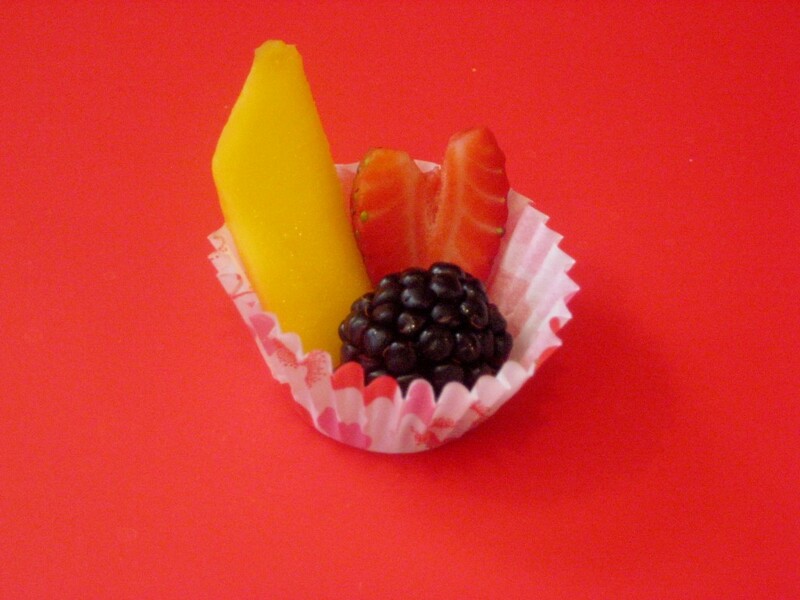 Valentine’s fruit cup* To make this one, I just put a lit­tle fruit (includ­ing a heart-shaped straw­berry) in a mini cup­cake wrap­per. Fun and easy! 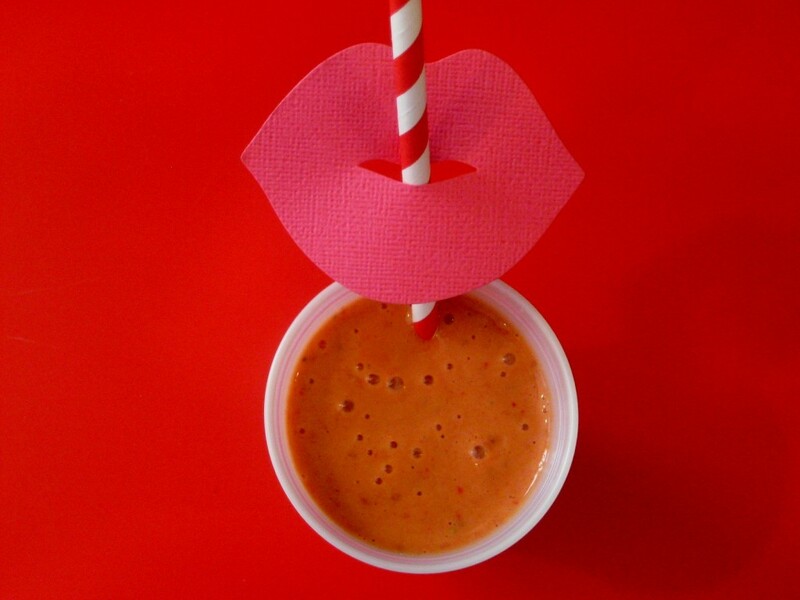 Love potion smoothie* Put a fruit smoothie in a col­or­ful up, add a whim­si­cal straw, and what do you get? A spe­cial love potion! I made this smoothie with fresh straw­ber­ries, man­goes, car­rot juice, plain Greek yogurt and a lit­tle ice. For a pinker color, try this Pink Smoothie from Bake Your Day or the Berry-Banana Smoothie from Two Peas and Their Pod. Silly Straws Kit (makes 6) pur­chased at Target. Pop­corn party favor* Home­made microwave pop­corn becomes a fun treat when placed in a food-safe Valen­tine favor bag (I got this one–made by Amer­i­can Crafts and sold in a pack of 6–at Tar­get). I wanted to fig­ure out a way to dye the pop­corn pink using beet juice but didn’t get a chance. Next time! *All starred items can be done with store-bought food for those who have a store-bought-only food pol­icy. Items could be trans­ported to school in sealed pack­ages and then assem­bled imme­di­ately before the party. Love love love this! I’ve been talk­ing to my hubby about approach­ing our school with a “healthy choices” campaign…frustrated with the rotat­ing snacks par­ents pro­vide (while told what items to bring, there are no guide­lines to steer them toward a health­ier choice. IE: bring Nutri­grain bars — have you read the ingre­di­ents?! Chock full of preser­v­a­tives am chem­i­cals. Whole foods or Trader Joes has the same type of bar but w/o the HFCS or hydro­genated oils). Anyway…thank you for this! My only ques­tion is have you found a microwave pop­corn that’s bet­ter? Have you seen the recent research on the chem­i­cals used to line the inside of the bags? I’ve been search­ing for a brand that doesn’t use PFOA. Joanna — Thanks so much for the kind words! I agree about the snacks–it’s a big prob­lem. In terms of pop­corn, I make my own in the microwave with a brown paper bag–here’s a link to a post about it: http://school-bites.com/homemade-microwave-popcorn/. But if you’re at a school that only allows sealed pack­aged snacks, I will try to do some research for you. You also may want the pop­corn to be non-GMO? If so, you can find a list of non-GMO ver­i­fied prod­ucts at http://www.nongmoproject.org/. Thanks so much for com­ing by the blog and offer­ing your input! 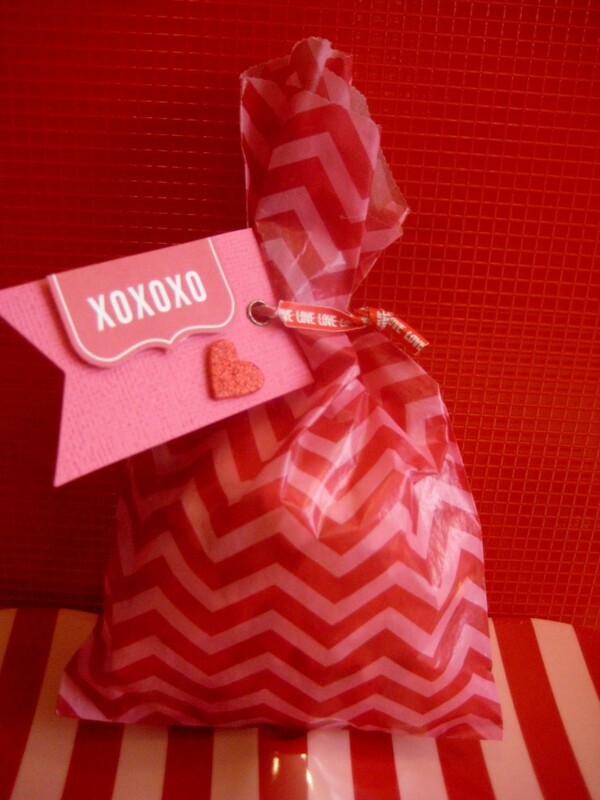 I found your blog while search­ing for healthy Valentine’s party treats, and these are some great ideas! I espe­cially LOVE the banana split! Some­thing tells me I’m going to be mak­ing that one for myself … You may already be well aware of this, but have you ever tried mix­ing avo­cado into fruit smooth­ies? It gives it a silky, deca­dent tex­ture that’s some­where between pud­ding and a milk­shake, but it doesn’t throw the fla­vor off. I usu­ally blend mine with some banana, some frozen trop­i­cal fruits like pineap­ple, mango, etc, base liq­uid (I use raw coconut water, coconut milk and/or almond milk–I haven’t tried it w dairy milk), and just a splash of fresh orange juice. I’ve seen recipes for chocolate-flavored avo­cado shakes and choco­late avo­cado “pud­ding” as well! Thanks for all the fun ideas, I’m look­ing for­ward to try­ing them! « Rant of the Day: Please Stop Feeding My Kids Junk Food at School!